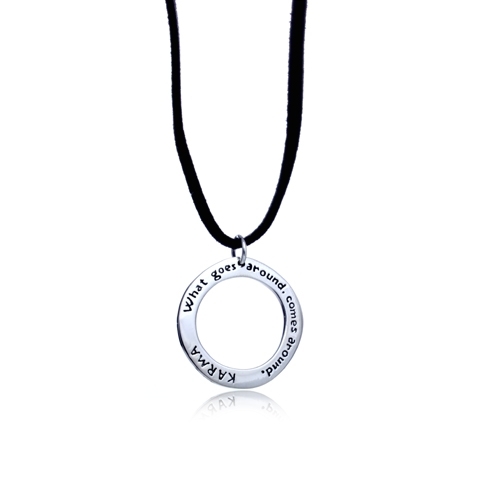 Sterling silver Karma Necklace that reads: What goes around, comes around. Karma. This ancient wisdom is based on oriental philosophy that every deed or event is influenced, and in turn, influences other past, present, and future deeds or events, expressed in the western world as "what goes around, comes around". This fashionable karma necklace reminds you of spreading the good karma.